Confessions of a Fabric Addict: Make-A-List Monday - I Need a Breather! Wow, is it Monday again already? Last week went by in a blur of sewing and quilting and I am ready. for. a. breather. Ever feel like that yourself? 1. 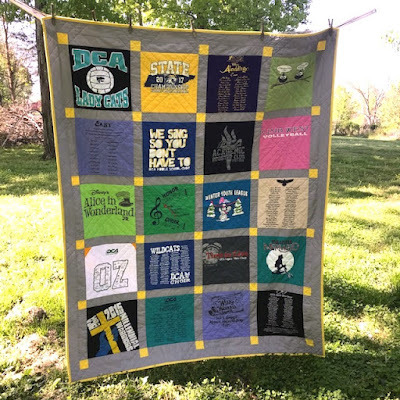 Make the top for a commission t-shirt quilt between now and Wednesday night. Done! After a couple of false near-starts, I finally got the go-ahead and once I did, it went fairly quickly. 2. 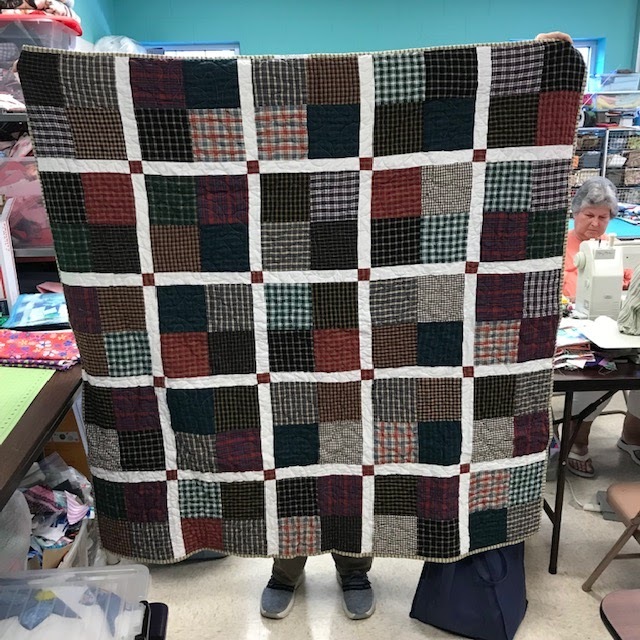 Pick up more twin-size quilts and backs (and another roll of batting) at church Wednesday night. Done! I looked like I was running away from home with the huge load I took out to my car! 3. Quilt the last five twin size quilts for the project. Done! Apparently I only took pics of four of them, but I promise I quilted five - and put the bindings on the last two, just because I wanted them to be completely finished! 4. If time allows, sandwich the t-shirt quilt and quilt it. Done! This one is ready for delivery! ...and this one went to a man dealing with some serious medical issues. And finally, this quilt went to a woman going through a difficult time. It looks like a mighty skinny list, but I think it will keep me out of trouble. I might even dust a little bit! 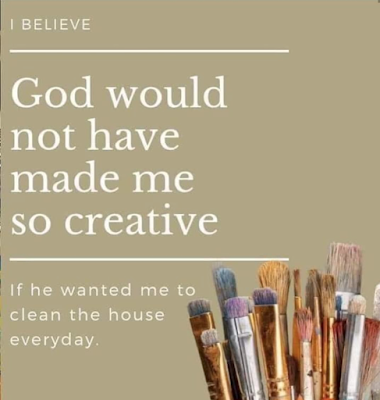 Love the creative saying. Hope you have a great week. that is my belief as well...my mantra and life philosophy too! when one keeps busy the weeks DO fly...working my way down my weekly list...so far so good! I hope you get time for a little breather! 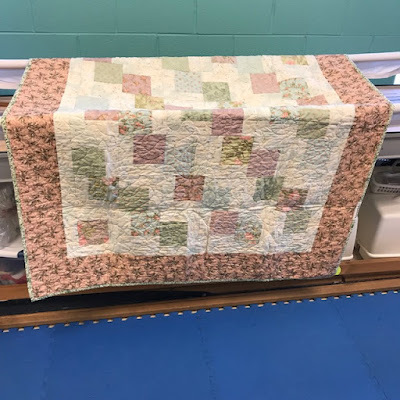 Will you post about the repairs you make on the vintage quilt? I have one I purchased last year and hope to start on it soon. I would love to see what you do with yours. I make lists on Monday too! Gotta have a list, I have too many "squirrel" moments. Whew!! You have been active and blessing many around you! One thing to add to your list: I hope you have a chance to take a breather! :) Hugs to you!